Furniture Row USA undertook an accelerated growth plan in the mid-2000s, amidst a red-hot retail and construction market. 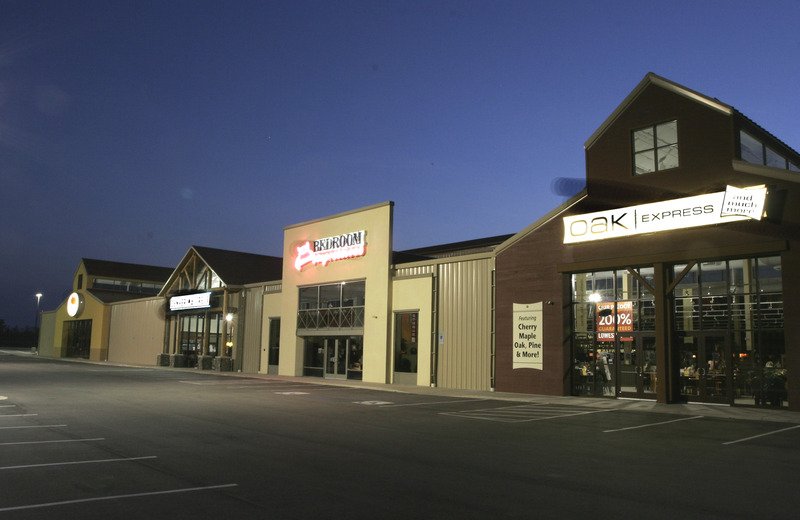 With a four-store format featuring Oak Express, Denver Mattress, Sofa Mart and Bedroom Expressions, the furniture retailer rapidly expanded from Denver to the east. Wieland was initially brought in to construct the Lansing, MI store where its corporate headquarters were. After completing that store on time and on budget, Wieland was asked to travel to Erie, PA; Corpus Christi, TX; Selma, TX; and, Ontario OH. To complete four additional stores over an 18-month period. Each store footprint alters slightly based on market, but there are similarities to each store, beginning with the pre-engineered metal building super structure. The outsides of the store create a “four-storefront” image, while the inside has the feel of a warehouse with exposed deck and ceiling.